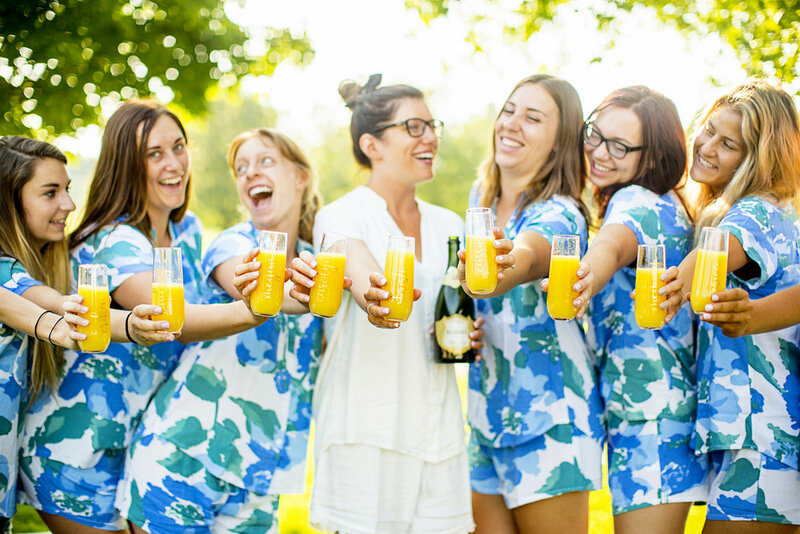 Wedding days are a day that often includes popping some bubbly when the day begins and adding it to orange juice- a.k.a a mimosa! But what if you added in a little yoga to center yourself and your best gals (or guys!) too? That my friends is MIMOGA! 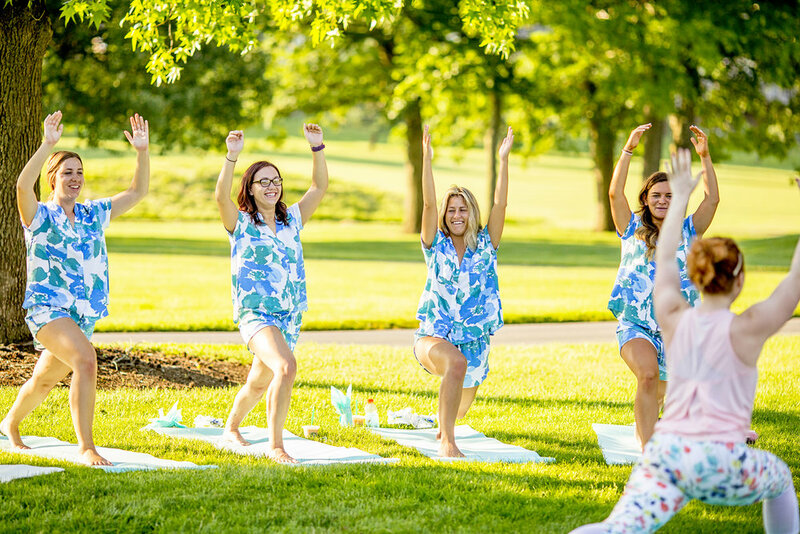 Certified fitness coach Casey Engles is offering up an amazing new service that brings yoga and mimosas to a wedding day on site so you start the day with a stretch, center and namaste. 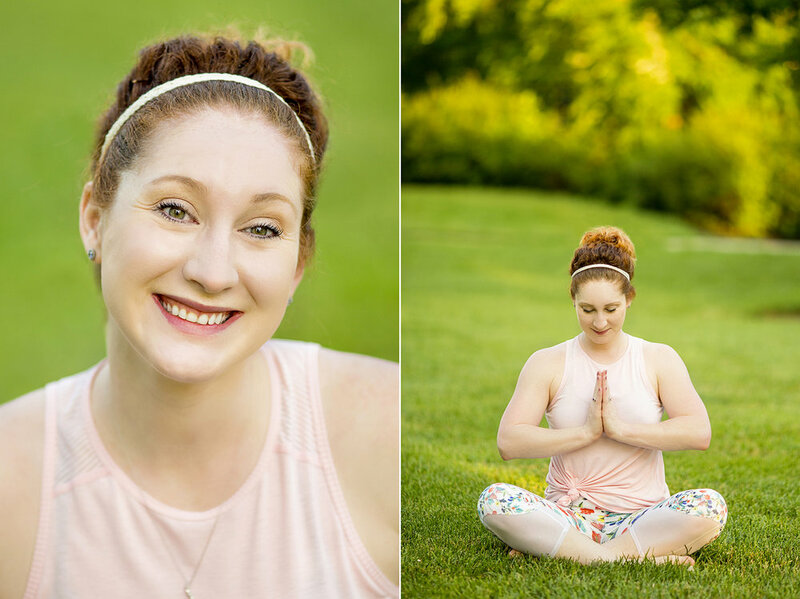 I joined her for an early morning wedding day this month to show off this amazing experience! 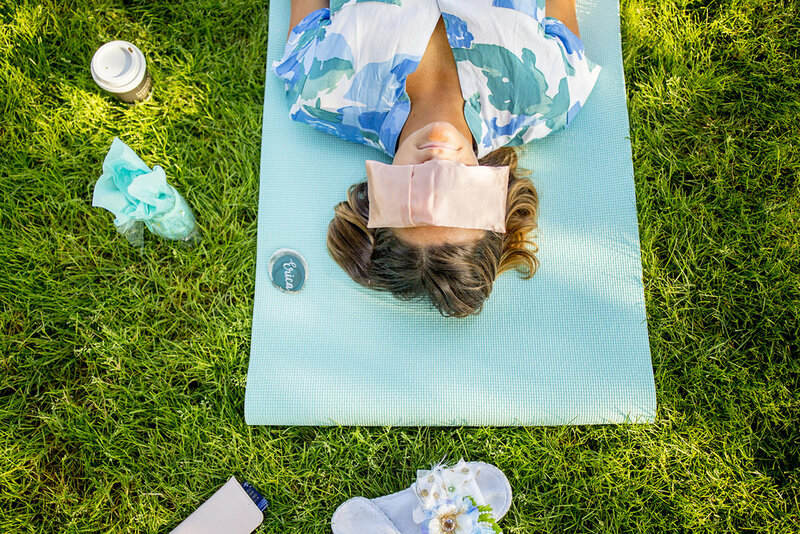 Each participant gets their own yoga mat, personalized champagne flute to keep and after the session a cool lavender pillow to relax with. 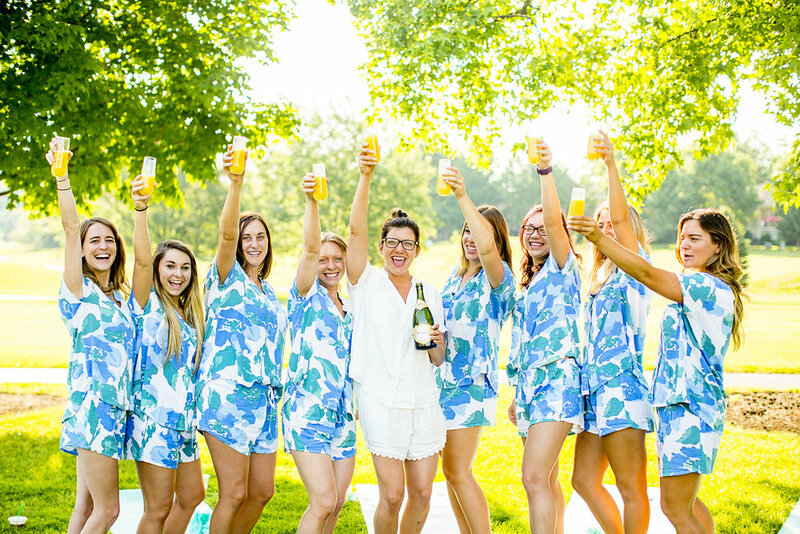 This wedding party enjoyed the early morning sunshine and golf course view at the Griffin Gate by Marriott but the session can easily be done indoors as well! For more information about Mimoga and what services Casey offers CLICK HERE.